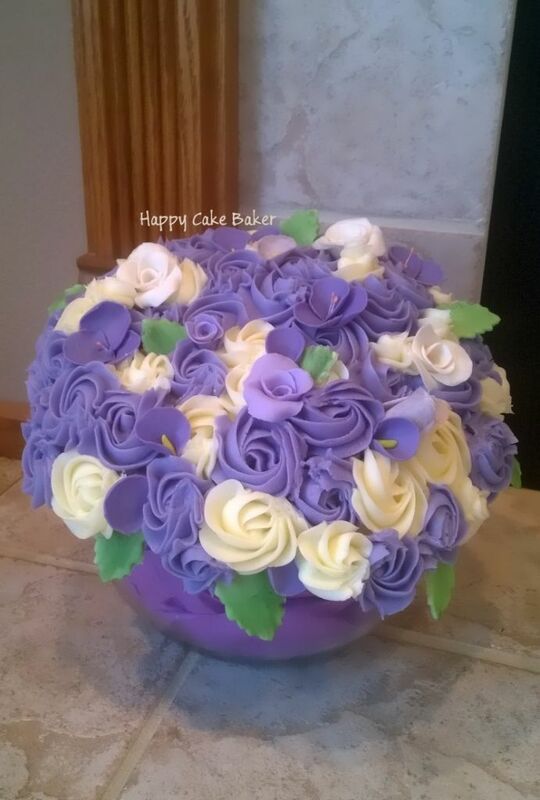 This is my take on a cupcake bouquet! I find it to be much more elegant than frosting each individual cupcake. Not only are the cupcakes covered in butter cream rosettes but I mixed in a few fondant flowers and leaves to match the brides bouquet a little more. The bride and the entire bridal party were in LOVE with this! I think this creation would make beautiful wedding centerpieces too.